The automotive industry is facing one of the greatest challenges of the last decades. One the one hand, European regulators are pushing to lower CO2 emissions of cars with internal combustion engines as much as possible, while on the other hand, the dynamic development of electromobility forces manufacturers of cars and automotive parts to invest in a completely new market segment. 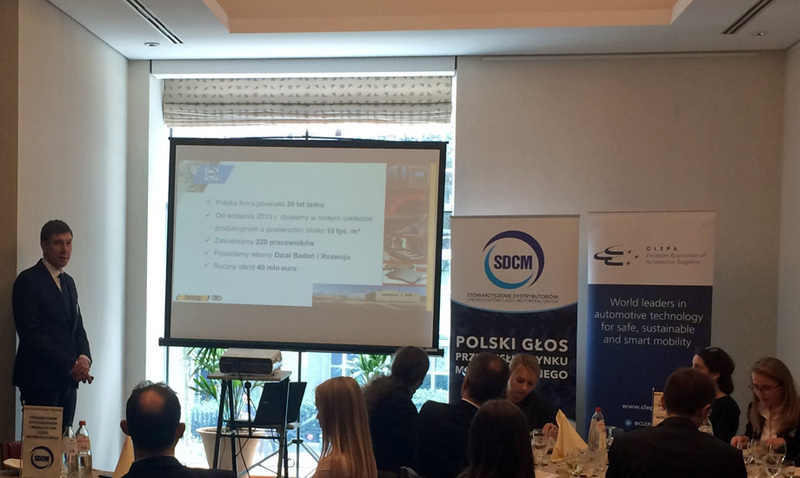 MEPs and representatives of Polish automotive parts manufactureres discussed this issue in Brussels during a meeting hosted by SDCM (Association of Distributors and Manufacturers of Automotive Parts). A representative of Lumag also attended the meeting and presented the position of SDCM. In his address he stressed the need of jointly combating air pollution in cities by lowering CO2 emissions, but not at the expense of innovation in other areas of the automotive market, which also influence emissions, like electromobility.